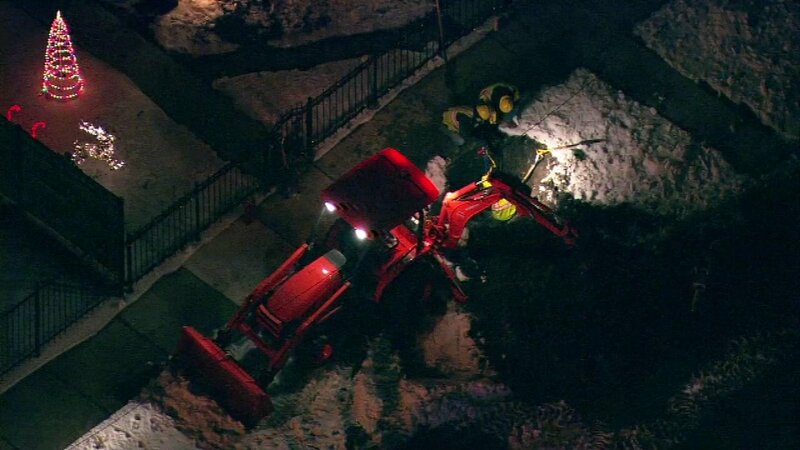 CHICAGO (WLS) -- A gas leak that forced people out of their West Side homes is now fixed. The water department was working in the 300-block of N. Mason when they hit a gas line. People living in the area were forced out of their homes as a precaution. A witness described the moment it happened. "When they dug, all you heard was a real loud, like, air sound, like 'ssssss'. And they started running and I was like, 'What's going on?' and I smelled it and was like, it's gas," Elvis Armstrong said. The fire department was called in case the gas leak caused a fire.